One of the biggest problems most businesses are struggling with is the cost labor. Unfortunately, every business will help workers for it to be operational. You need people to serve the customers and also ensure the smooth operation of the business. However, the number of people working in the business eats into the business and that means that you need to be extra careful. That is why you need to have the right tools and measures to reduce the cost of labor. One of the most effective is introducing a bill counting machine to the business. For your business to run effectively, you need to ensure that the cost of labor is gotten from the profits. Otherwise, you will be moving backward if you are paying from the stock or the pocket. 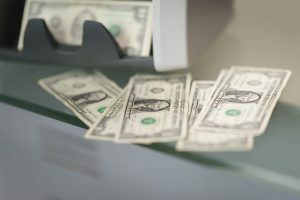 One of the areas that you can easily reduce the cost of labor is the cash management. That is why bill counting machines are very important when it comes to reducing the overall labor cost. One the ways that bill counting machine can help you reduce the cost of labor is by reducing the number of hours worked. Note that wit most business is paying on an hourly basis, then any reduction in the number of hours worked will have a huge impact on the business. These machines help any amount of cash within a very short time. In fact, the amounts of cash that would have taken hours to count manually can be counted in a matter of minutes. That simply means that you can significantly slash the amount of money paid to count cash by a huge percent. That is one way these machines can help address the problem of high cost of labor. One of the biggest ways that you can cut the cost of labor is by cutting the number of workers with compromising the operations of the business. That is what automation brought about the bill counting machines is about. These machines can do work that is usually done by a couple of workers and do it perfectly. Therefore, if you have ten cashiers, you can reduce them to six and still run the business smoothly. That is what bill counting machine to the business. These are two ways that bill counting machine can help you reduce the cost of labor.